Here’s how to fix provision.cpp:150 Cydia Impactor error during iOS 10 or iOS 10.2 yalu102 jailbreak process on an iPhone or iPad. 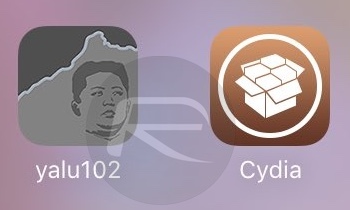 Jailbreakers will likely be familiar with Cydia Impacter, a tool which allows unsigned apps to be run on an iOS device. With the aid of this tool the yalu102 jailbreak can be installed, and thus jailbreaking iPhones and iPads with iOS versions of anything up to iOS 10.2. The problem is that there can be a considerable number of errors that get thrown during the whole process, and this can be a bit bewildering at the best of times. One such error is “provision.cpp:150” which requires an app-specific app to be entered. This all comes about when users have two factor authentication enabled on their Apple IDs, and the only way to get around this issue is to head on over to Apple’s website and create an app-specific password that can be used with the jailbreak tool, thus getting past Apple’s security measures. Here’s how you get yourself a new app-specific password so that you can get your jailbreak on with the minimum delay. Step 1: Head on over to appleid.apple.com and sign in with your Apple ID that you are going to use to sign yalu102 jailbreak app in Cydia Impactor. Step 2: Scroll down to the security section and click on the Edit button to get started. Step 3: Next up, scour the web page for the “APP-SPECIFIC PASSWORDS” section and click on the Generate Password button. Step 4: Enter a name for the password so that you will recognize it later, and click the Create button. Step 5: Now, when Cydia Impactor asks for your Apple credentials, use your normal Apple ID but use the new app-specific password instead of the one you would normally use. This method should get you around the “provision.cpp:150” issue and keep your normal Apple ID password safe. This is not a bug but rather Apple’s security doing what it is supposed to do. Now all you have to do is enjoy your jailbreak! I posted a solution but Redmond Pie didn’t approve my comment with the link. Too worried about themselves to care about anyone else. just use the date trick on your phone to resign yalu. I’ve never jailbroke this phone?